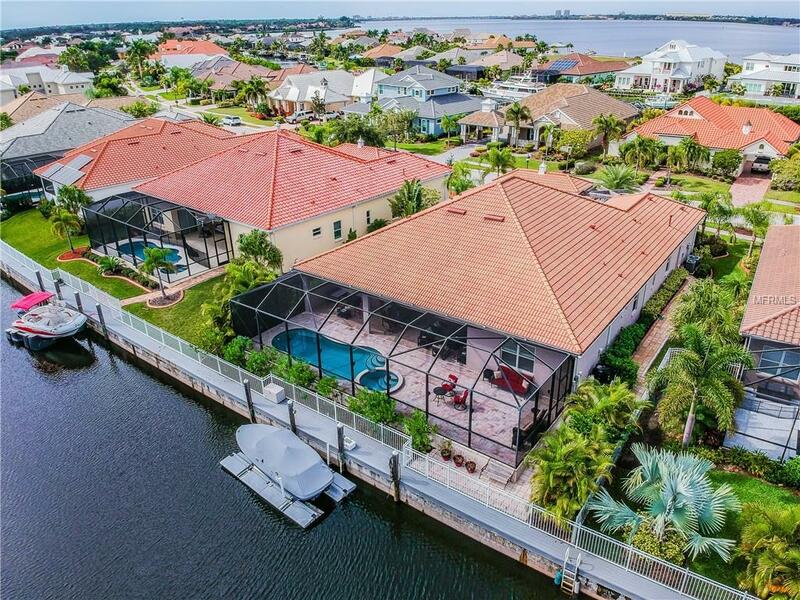 Relax and enjoy sunny Florida with this extraordinary, open floor plan home with an amazing outdoor living space. 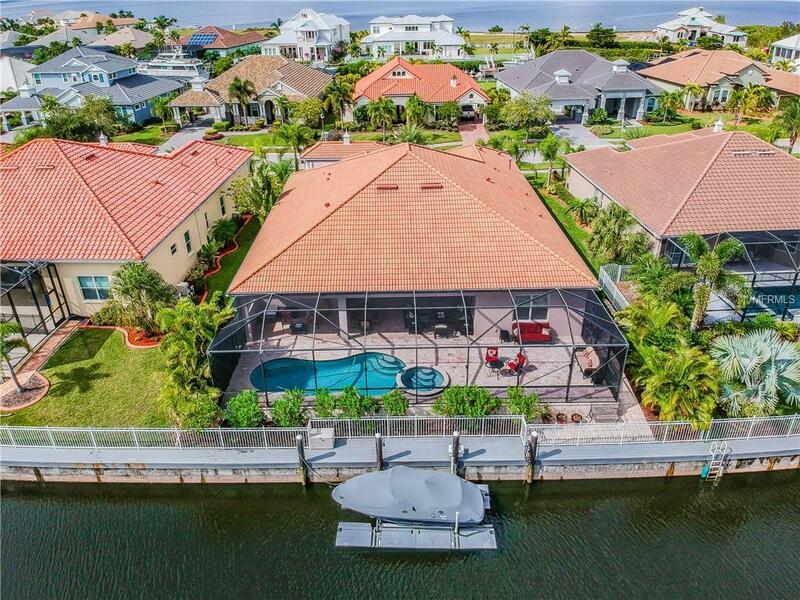 Located on a peaceful canal in one of West Floridas premier gated boating communities Harbour Walk. This 3 bedroom plus a den, 3 bath custom home has rarely been used and has all of the bells and whistles! Rich wood floors, custom built-ins, huge bonus room, electric fireplace, chefs kitchen with stainless steel appliances and a gas cooktop, outdoor kitchen, oversized covered lanai with an extended outdoor living space all on brick pavers, a large pool with a spa, and a side entry garage are to name just a few. 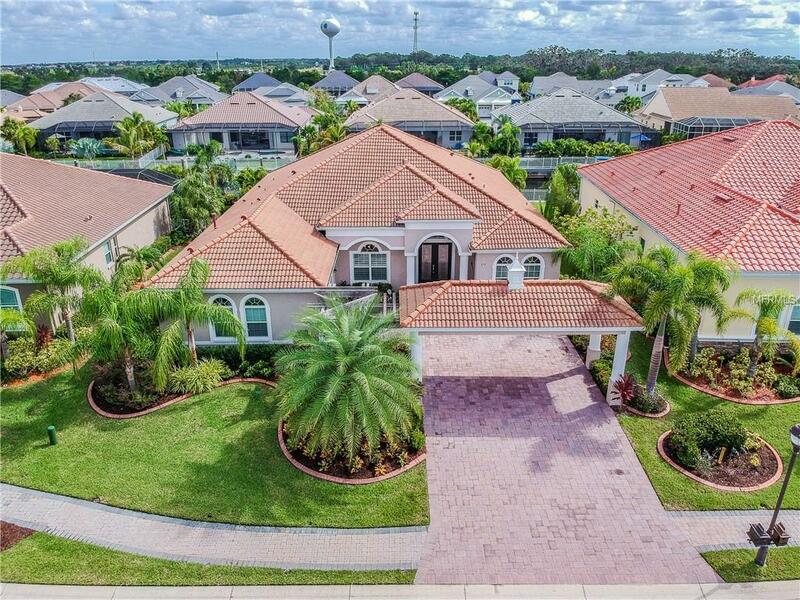 High ceilings graced by four large tray ceilings make the open floor plan feel grande. The den/office includes two closets and can be used as a fourth bedroom. This is the perfect home for entertaining with plenty of room for guests or family. Your guests will love the privacy of the split floorplan, two family room areas, and the enormous outdoor living space. 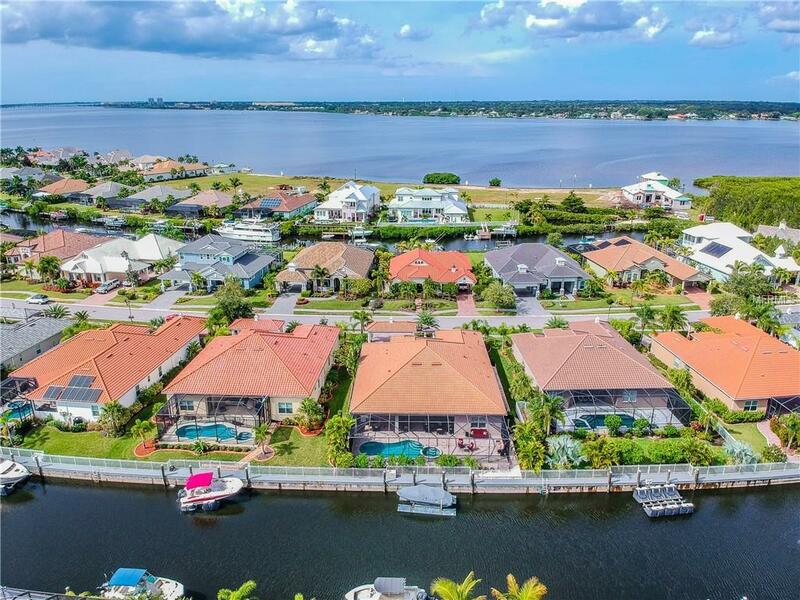 This is a rare opportunity to own in a gated boating community so close to I-75 which gives you the convenient access to restaurants, shopping, beaches and airports. This custom home has the option to be sold furnished.